Last year at the Scouts Australia International Conference I was responsible for the transport of the participants from Camp Cottermouth to Dinner at the Crown Plaza Hotel. As most of the participants and drivers were from out of town I organised a Google Maps printout with directions for each vehicle. I had planned to take the lead and for the other vehicles to follow me. This was not to happen. The drivers all must have felt empowered with the Maps and drove off in front of me. In the end I was following them. What does this say about my Leadership? Can you lead from the rear? Would you feel threatened if your teams become empowered and lead on without you? How would you lead from the rear? I saw it as a positive. It was that the team felt confident and empowered. However I was concerned that the team would get lost. So I had a choice to make…… Do I forcibly take control or do I allow the team to move on in front of me? What would you do? What supports should I have put in place? As it turns out the team did miss a turn and ended up going the wrong way at one point. At that point I waited for the team to come back on track. I once again planned to take the lead at that point, however once again the team travelled straight past me. I was at the rear again. It was at that moment that my passenger Phil Harrison questioned if I was using the cattle dog method to ensure that the team stays on track. 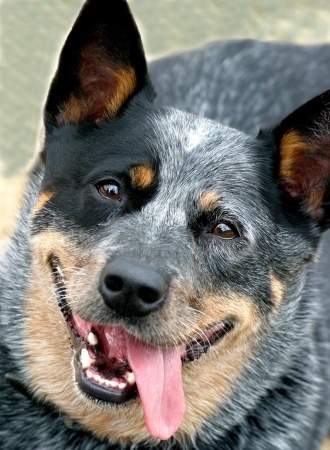 Hence coming up with the term Cattle Dog Leadership. Is the team is enthused and empowered? I hope that when you are next faced with an opportunity to empower and allow your team to lead, you will encourage them forward. About Attila : Attila Ovari is a Cause & Effective Associate. He passionate about life and thrives on empowering others, in particular when it comes to leadership. He can be contacted here.